The Queen Mary’s Dark Harbor Returns to the Infamously Haunted Ship September 27 Tickets to the 23 terrifying nights on-sale NOW!!!! 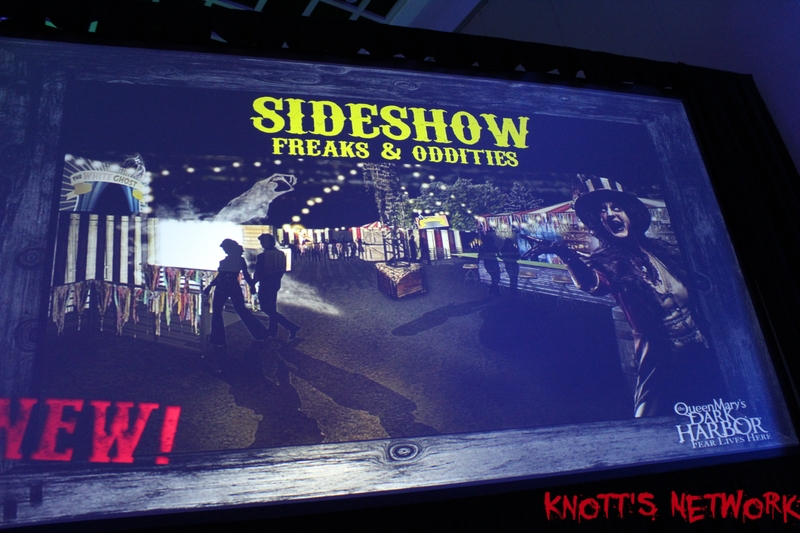 Dark Harbor’s newest frights to be unveiled July 29! The Queen Mary’s Dark Harbor, Southern California’s most terrifyingly authentic haunt, will once again rise from the deep, dripping with history of the infamously haunted ship September 27 – November 2, 2018. Tickets to Dark Harbor are available for purchase now at QueenMary.com. The Queen Mary’s Dark Harbor Hosts Annual Cast & Crew Auditions July 17th – August 4th! Can You Scare the Ship Out Of Them? 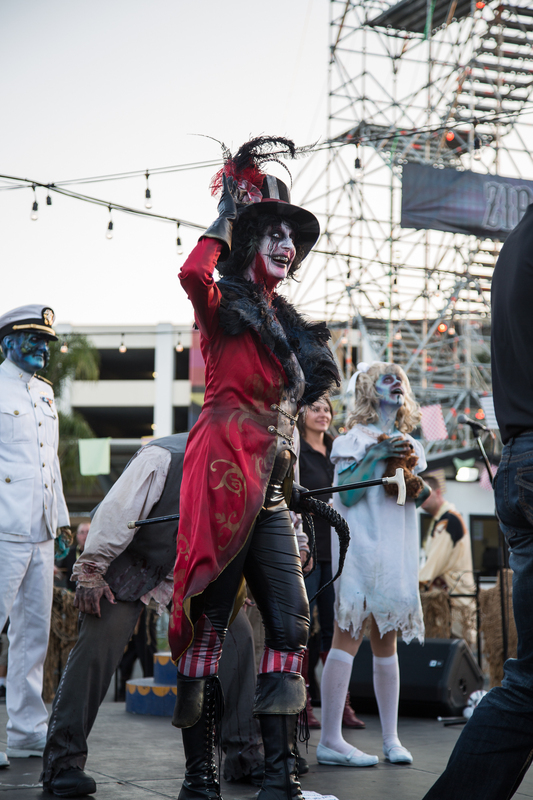 The Queen Mary hosts monster auditions and operations interviews for Dark Harbor 2018. The Queen Mary, dubbed one of the “Top 10 most haunted places on Earth” by Time Magazine, is pleased to announce the notoriously haunted Stateroom B340 will once again be available for overnight guests starting Friday, April 13th. Featured on SYFY Channel’s Ghost Hunters and the British TV series Most Haunted, room B340 offers thrill seekers and scare enthusiasts the unique opportunity to spend the night in the axiom of all alleged paranormal activity at the Queen Mary. Room reservations will be available at 877-342-0742. Located in the Port of Long Beach, the Queen Mary features a rich maritime history, authentic Art Deco décor, and stunning views of the Pacific Ocean and Long Beach city skyline. At the time of her maiden voyage in May of 1936, she was considered the grandest ocean liner ever built. The Queen Mary’s signature restaurants include the award-winning Sir Winston’s, Prom Café, and Chelsea Chowder House & Bar as well as a weekly Champagne Sunday Brunch served in the ship’s Grand Salon. History buffs enjoy the ship’s museum and Glory Days tour, the Churchill Exhibit – Their Finest Hours, Ghosts and Legends, and the ship is currently featuring the renowned Diana: Legacy of a Princess exhibit and Titanic in Photos Exhibit. The Queen Mary features event space in 14 remarkable Art Deco salons and award winning staff to create innovative banquets for groups ranging from 10 to 5,000. The Queen Mary boasts 346 staterooms including nine full suites. For more information or for reservations, see www.queenmary.com or call (800) 437-2934. The Queen Mary is located at 1126 Queens Highway in Long Beach. Signature mazes Circus, Lullaby, Deadrise, Soulmate, B340 return to offer glimpses into the ship’s sordid past. Other spirited attractions Hex Paintball Gallery, Panic 4-D, Sideshow, Neverland Ranch’s Sinister Swings, Voodoo House Bar & Tasting Room, R.I.P. Lounge, Big Top Bar, demonic DJ’s and other main stage mayhem make for a freakishly good time. The annual haunt opens its gates on September 29 and continues to scare those who dare through October 31. General admission ticket prices start at just $20 online, with Fast Fright upgrades, VIP R.I.P. Lounge access, Creepy Cabanarentals, and historic hotel packages available. 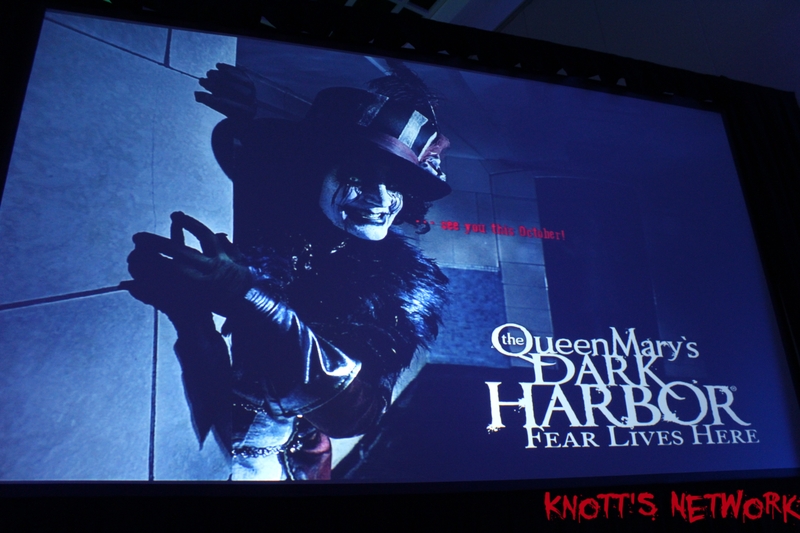 For more information or to purchase tickets online, visit http://www.queenmary.com/dark-harbor. We Can’t wait to see you Monsters in October at Dark Harbor! Exciting new scary adventures at Dark Harbor, Paintball experience, I’ve never been paint-balling so this will be new to me, but its Haunt style 🙂 looking forward to experience it and talk about it real soon!!!! 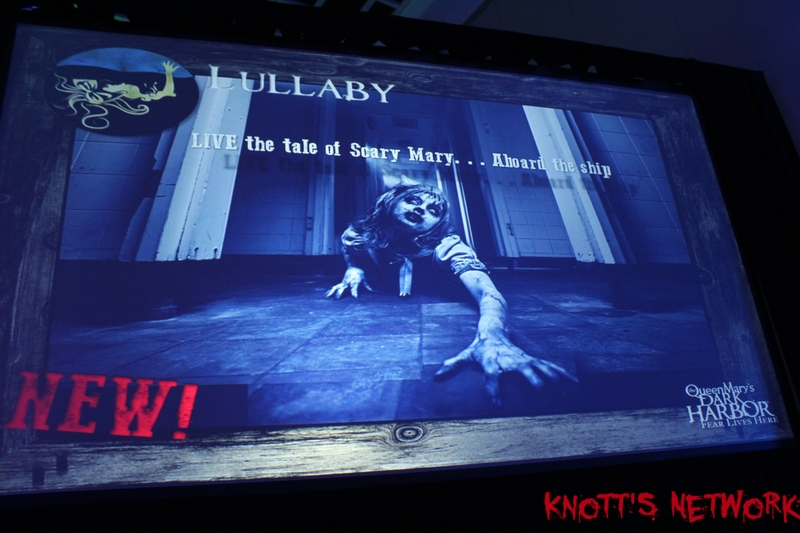 Fear lives here at The Queen Mary’s Dark Harbor as the torrid history of the haunted ship rises from the deep October 1 – November 1, 2015. 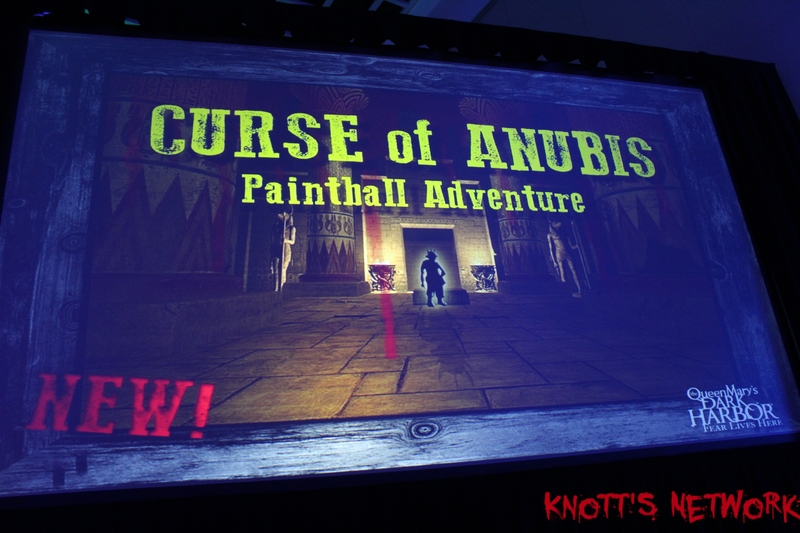 In addition to Dark Harbor’s horrific new maze, Lullaby, that tells the tale of the ship’s youngest soul, Scary Mary, the annual fright festival is thrilled to unveil the all-new Anubis Paintball Adventure.